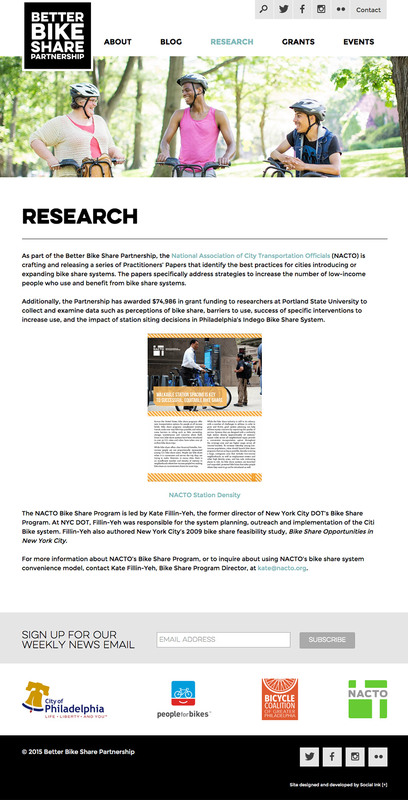 The Better Bike Share Partnership is a JPB Foundation-funded collaboration between The City of Philadelphia, Bicycle Coalition of Greater Philadelphia, the National Association of City Transportation Officials (NACTO) and the PeopleForBikes Foundation to build equitable and replicable bike share systems. 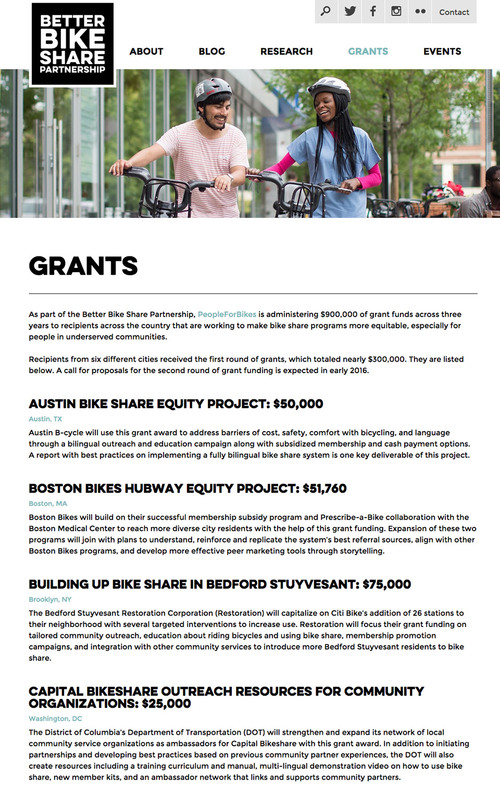 Social Ink worked with the PeopleForBikes Foundation to create a new website that promoted the Better Bike Share Partnership. Sporting a new, accessible design, the site details information on grants the initiative has awarded across the country. The site is responsive across phones, tablets, and several monitors. Its custom WordPress CMS allows Better Bike Share staff to quickly post updates and news within an effective information architecture schema. 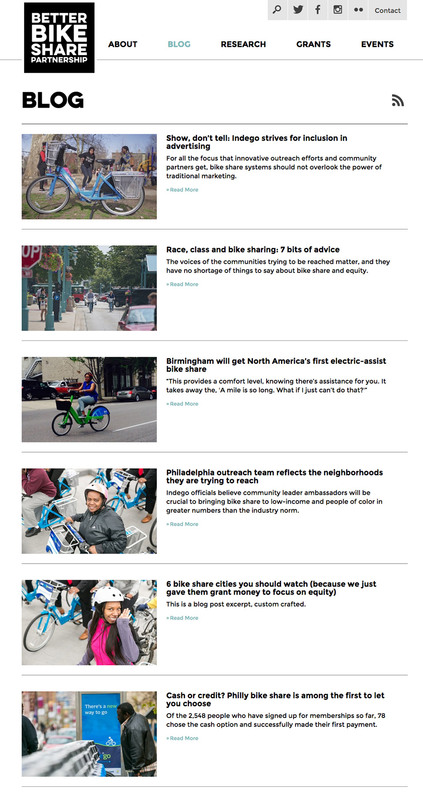 Better Bike Share’s new site represents Social Ink’s work in the nexus between foundations, civic agencies, and national associations. We’re happy to collaborate with an organization that puts people on bicycles!